We've had our share of Bad Moms-type movies now, right? And that's great; it's about time the ladies had their chance to show they can be just as screwed up as us guys. But have we gone too far the other way now? Are sad, kinda pathetic Dad movies like Brad's Status what we have to look forward to? 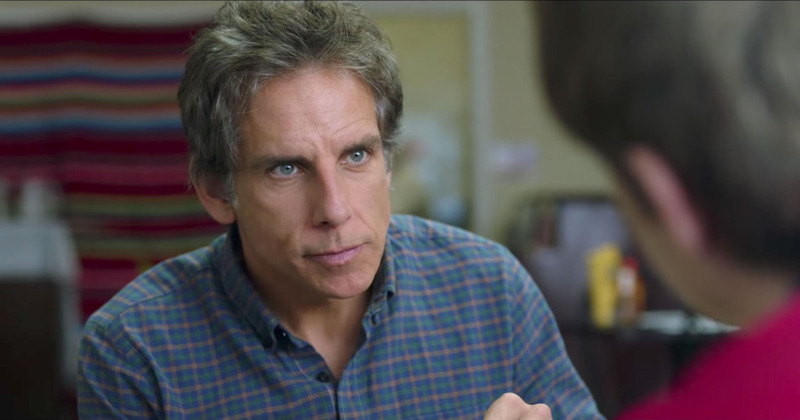 The first trailer for Mike White's film is here, and it stars Ben Stiller as the titular Brad. He's a father who isn't at all happy with his life, especially when compared to his more successful friends, played by Jemaine Clement, Michael Sheen, and Luke Wilson. While accompanying his son on a college trip, Brad is forced to reflect on his life, and when confronted by his old friends he must reevaluate whether he truly was unsuccessful, or actually pretty happy. I think you know where this goes, and if you don't the trailer guides you through it the whole way. This looks like an addendum to The Secret Life of Walter Mitty, a film that I liked a lot more than others did. And despite my displeasure for this trailer, I think this could actually turn out to be a pretty great film. Stiller has long since nailed the disillusionment that comes with middle age, and Mike White has done tremendous work on films such as The Good Girl (which seems like it treads similar ground from a different angle), School of Rock, and Beatriz at Dinner. Also starring Jenna Fischer and Austin Abrams, Brad's Status will be released by Amazon Studios on September 15th.